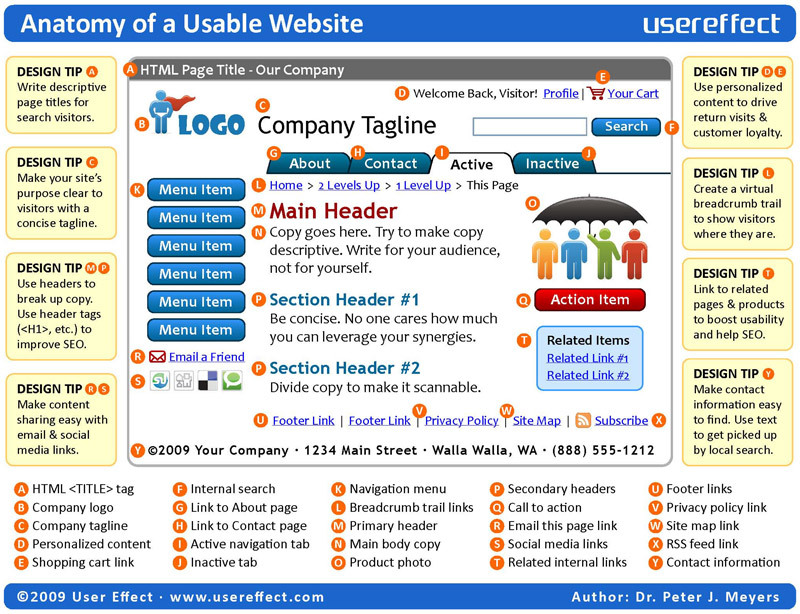 Essentially, it's a road-map for what a typical, usable website might contain. It's not a design guide, per se - more of a cheat-sheet for the pieces that any site should consider having. Of course, not all pieces are relevant to everyone, and I don't claim this is 100% comprehensive. Any comments are welcome, as this is something I'll consider revising as time goes by.